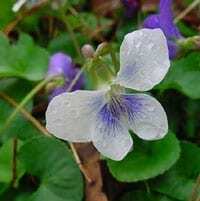 The sweet white violet grows from 6 to 12 inches high. They grow small white flowers in spring and early summer. 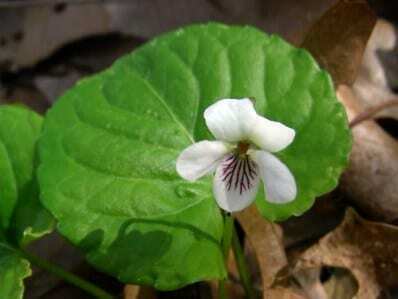 The lower petals have purple veins. The upper petals are often twisted or bent backwards. The stalks are a reddish tinged. They grow 1-2 inch long heart shaped leaves with a few scattered hairs.